The Nexus-32 is your choice for an advanced qEEG (Quantitative EEG) system. It is capable of measuring up to 32 physiological signals simultaneously making it also ideal for demanding research and other sport, clinical, business and training applications. 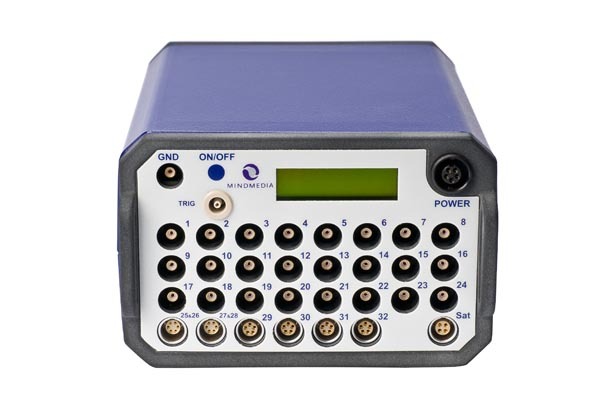 The NeXus-32 biofeedback unit offers up to 24 inputs for unipolar EEG signals. It also has two ExG inputs for up to four channels of EMG, ECG, EOG or bipolar EEG. It offers inputs for four peripheral signals like heart rate, relative blood flow, skin conductance, respiration, temperature, and more. The NeXus-32 also has an extra input for oximetry/ SpO2 or event triggers. The NeXus-32 comes with its own version of BioTrace+. In addition, clients can opt, for example, for Neuroguide software. 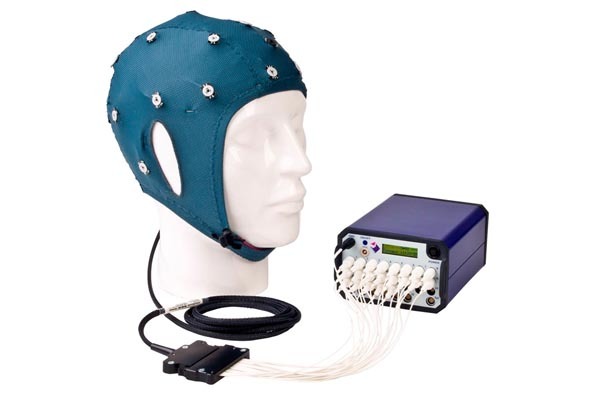 The EEG Cap is a 21 channel cap designed according to the 10-20 system. The NeXus EEG Cap has been especially designed for the NeXus-32.